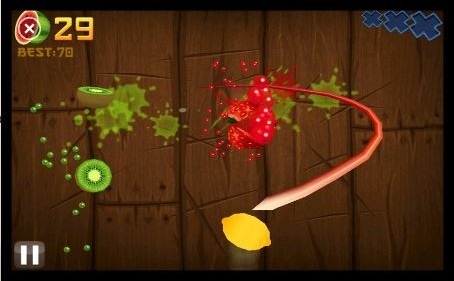 Fruit Ninja is a juicy action game with squishy, splatty and satisfying fruit carnage! Become the ultimate bringer of sweet, tasty destruction with every slash. Swipe up across the screen to deliciously slash fruit like a true ninja warrior. With three games modes the addictive gameplay will keep you coming back for even higher scores. 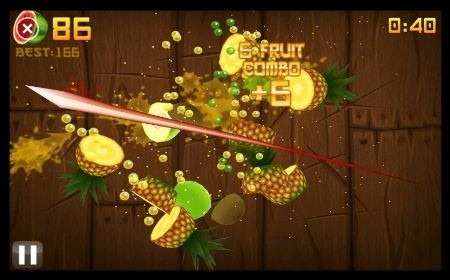 Fruit Ninja now has our first phase of NFC functionality. Simply perform the NFC handshake with another Nokia 500, 600 or 700 to unlock content.